Adele, Emeli Sande, Sam Smith, James Bay – all previous winners of the BRITs Critics Choice Award, all with debut albums that sold somewhere between two and 16 million copies worldwide. 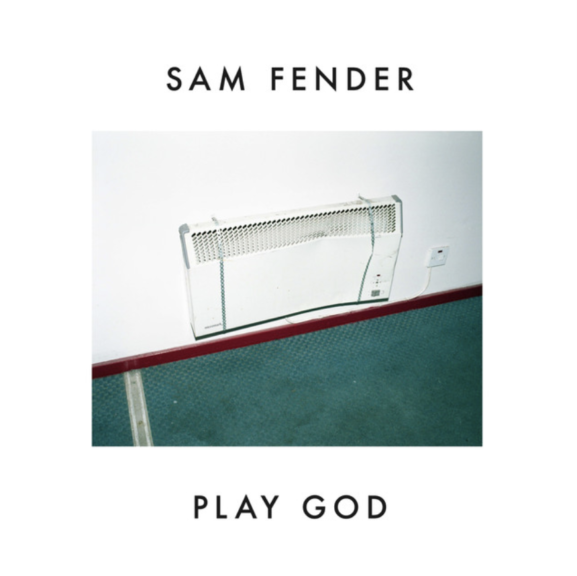 No pressure, then, Sam Fender. Actually, none at all, not from his UK record label, Polydor. Excitement and expectation, yes, but no pressure. 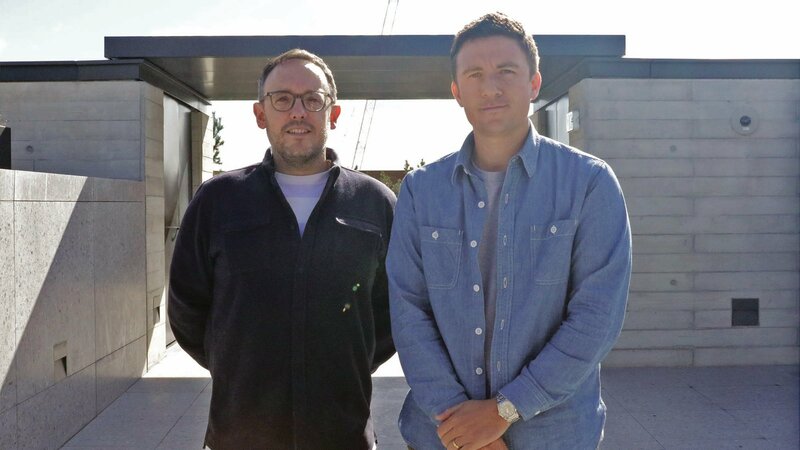 Joint Polydor bosses Ben Mortimer and Tom March don’t do pressure, well, not on their artists, anyway. Instead they are nurturing, plotting, encouraging and preparing. When did you guys first become aware of Sam? Ben Mortimer (pictured above, left): For me it was early summer 2017. Big credit must go to Polydor A&R Craig Shardlow, who insisted I let him fly to Madrid to see Sam play. Craig showed me the original Play God video and, to be fair, I didn’t need much convincing to let him go. Craig came back raving, but at the time Owain Davies [manager] wasn’t in a rush to do a deal. Luckily, Craig and Richard O’Donovan [A&R Director, Polydor] stayed very close to Sam – following him around the globe to the point of stalking him, for a good 12 months. What was your first reaction personally on hearing his music and seeing him live? BM: You could tell he was special. Play God is such a powerful piece of music. And then came other songs that showed serious lyrical maturity. I first saw Sam live in Newcastle with Craig and Richard in deep mid-winter 2017. Seeing him in front of his home crowd was a watershed moment. People were going insane. There were no other labels up there, but still Owain wasn’t in a rush to do a deal. Who did he remind you of? BM: It was hard to pinpoint his sound. There were moments of Jeff Buckley, moments of War On Drugs, moments of Springsteen, and more poppy moments. It was very unique. And although these are American comparisons, there was something very British about his take on them all. Was there a big competition to sign him? BM: It did get competitive, yes. But Sam and Owain are loyal people, so those miles Craig and Richard put in ultimately gave us the edge. And they just seemed to really like the vibe Tom and I have created at Polydor. 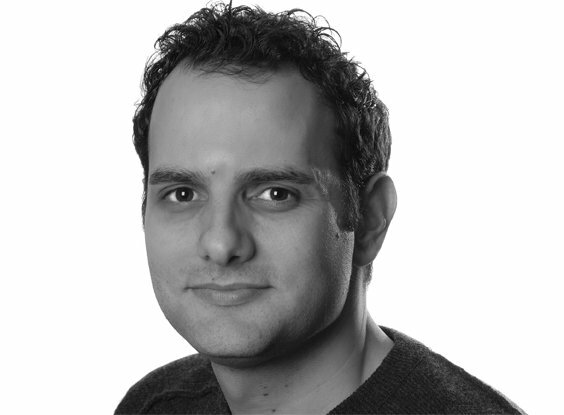 Can you tell us about Owain Davies, how you guys work with him and his qualities as a manager? Tom March (pictured above, right): Owain is very collaborative and he has his artists’ trust. He has very strong beliefs and values and instinctively knows what is right for his artists. I’ve been very impressed by his willingness to have healthy debate and pivot when needed. Above all, he’s a great guy to deal with. What role does he play in terms of the A&R/development process? BM: Owain has been an incredible guiding hand for Sam; he got things going in such an impressive manner. They’re a strong unit. When did you sign and what were the first things you did? TM: We signed Sam in June 2018. The first thing we did was create a global 18 month plan, building on the excellent work that Sam and Owain had already been doing, and putting focus on the right areas. We started hitting the phones, making sure all our partners saw him, confident that they would be blown away by him and that he would do the rest. What has been your strategy in terms of introducing him to a wider audience? TM: When we signed Sam he already had two years of hard work behind him, and we came in at the right time to elevate that and help take him to the next level. We’ve worked globally from the beginning. From the moment we signed Sam we started lighting fires and working with our teams in each territory. Sam isn’t the kind of artist who explodes off one song on streaming platforms. The nature of Sam as an artist means that more classic methods apply; he needs to be in market, blow people away with his incredible live shows, meet his audience and also the key gatekeepers in each territory. This approach will ultimately take longer but that’s where he will really win. He puts his personality to the forefront. In that way he couples the sensibilities of a classic artist with a very millennial approach. 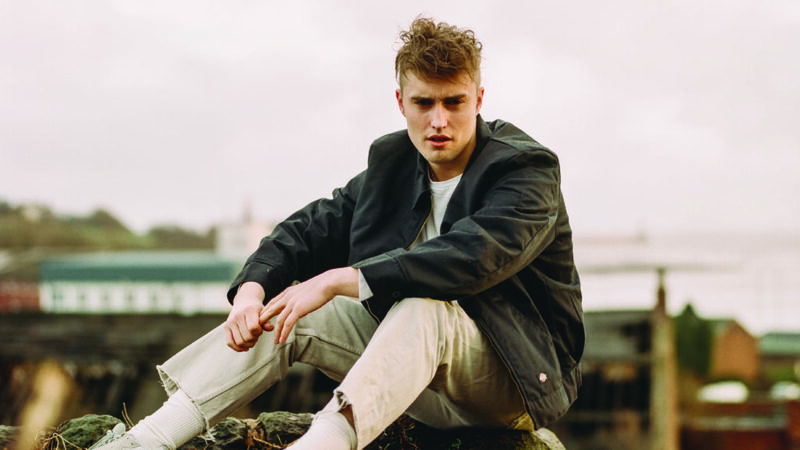 If you had to complete the sentence: Sam Fender is the new…? How important do you think the BRITs award is for a young artist? As someone who can peek behind the curtain of Sam’s career, did you notice it moving the needle? If so, in what way? TM: It’s massively important. It allows you to open bigger doors, get more attention and better looks throughout the campaign. It’s a stamp of quality and respect internationally. Ultimately it means many, many more people will discover your artist’s music. As long as you’re ready for it – and Sam is 100% ready. It’s not about seeing an immediate spike. What it means is that everyone is coming to me wanting Sam. Ultimately he has won an award voted for by the key media gatekeepers in the UK. What it shows is that the people who can break an artist have said he is the artist they are most excited about and therefore would have supported anyway. So it solidifies this support and accelerates it. It translates internationally; it really focuses attention. It’s the award won by Sam Smith, Florence, Adele – so when you win it, it’s a stamp of real quality. There is a responsibility as a record company that comes with your artist winning this award, and the campaigning that labels do, that if your artist wins, you over-deliver to help keep the integrity of this award so future artists can benefit from it. Given the calibre of former winners and the level of success they’ve gone on to enjoy, does it increase the pressure? TM: It doesn’t increase the pressure, because he’s ready for it. Sam’s got there completely on merit, and we haven’t changed a single thing in our plan because of the win. We’re still running the same campaign. We know we will deliver to the level he deserves and wants to be at. Sam wants to play stadiums and we will help get him there. Is the plan to break Sam in the UK first and then try and go global? TM: Right from the beginning, Owain and Sam plotted their path from an international perspective. Sam already had two European tours under his belt by the time we signed him. We continued that path and accelerated it. We’re already making huge inroads in Australia and [national radio station] Triple J are on board. Universal Germany have been exceptional. John Janick (pictured inset) and everyone at Interscope are as excited as we are and putting excellent plans in place for Sam’s first US trip in March. He’s playing two sold out shows in New York and LA and has a fantastic SXSW run ahead of him. He’s also been booked for Jimmy Kimmel, which is exciting. Is it a sound that fits in with or jars with the current landscape? TM: In a world that may be slightly more dominated by urban and pop music, Sam shines through as a quality artist who transcends genre. By being brilliant and standing apart people will come to him. He is a great example of the kind of artist that the UK consistently produces and that no-one else in the world does. Think of Florence, Mumford, Arctic Monkeys, The 1975; this country creates these future festival headliners that travel around the world. It’s good to be different! How important was Dead Boys as a ‘calling card’ track for Sam? TM: It was the first record we put out after signing Sam. Dead Boys was a bold and brave record for Sam to release and it was the first record we released together as a new team. It was a pivotal record for him and showed the depth and quality of his writing. It solidified all his previous support and the track exploded. It was deeply personal for Sam and Owain who had both lost young male friends to suicide. I know that the record helped a lot of people – that was very important to Sam. And it will continue to help them as they discover it. It was very brave of Sam. He had to put a lot of himself out there with it. What has the reaction been to Sam from the gatekeepers in the streaming world? Are they getting behind him? What about radio? TM: We’ve had excellent support from all streaming partners. Just ahead of us signing Sam, I watched him play The Great Escape with George Ergatoudis, who has been a huge supporter at Apple. YouTube’s coverage of Sam around the BRITs has been terrific. Austin Daboh has been brilliant and Sam is one of Spotify’s core UK artists to be breaking this year. It’s still early days but Radio 1 have been hugely supportive from the beginning, particularly Annie Mac and Greg James – he’s on their Brit list – while Mike Walsh and Radio X have also been exceptional in their support, as have Radio 2 and Absolute. As we release more records we will broaden out further. What does the plan look like for this year? TM: I don’t want to give away the end of the film, but what I can tell you is that he’s going to play some massive festival shows, sell out some huge venues and release a debut album that will be talked about for years to come. And we’re going to have some fun along the way. What can you tell us about the album? Is he working with anyone or is it very much Sam’s project? BM: Sam’s sticking to his guns, working with his original producer [Barny Barnicott], in his own studio up in Tyneside. We 100% back him on his creative process. What would you say is the key advantage that being with Polydor brings Sam? 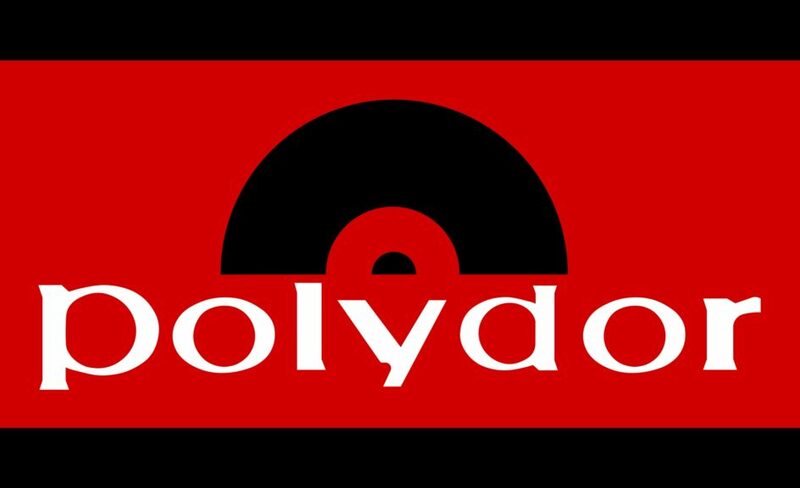 TM: Put simply, and without sounding arrogant, we have an outstanding team here at Polydor. We have a young team of exceptionally gifted creatives who produce unique and innovative campaigns for each individual artist on the label. Clearly it helps when you work with an exceptional artist, but the work we do in building and breaking artists’ careers is testament to the really brilliant team of people we have here. And that kind of feeds into the almost constant and no doubt annoying question of: why should anyone sign to a major these days? What’s your response when you hear that bandied about so often? BM: I just don’t see how people can say a good label doesn’t add value. 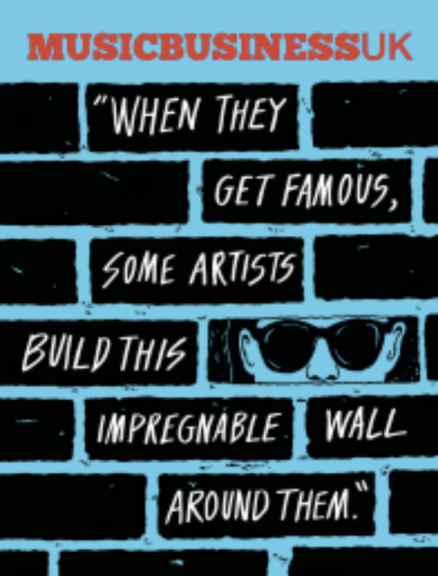 There’s a huge amount that we can add to an ambitious artist. This is not arrogant, but in the case of Sam, you can tangibly see how his career has accelerated since he partnered with us.